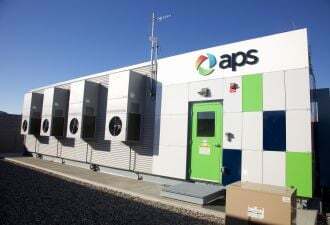 Boulder moves toward a municipal utility, with or without SmartGridCity. 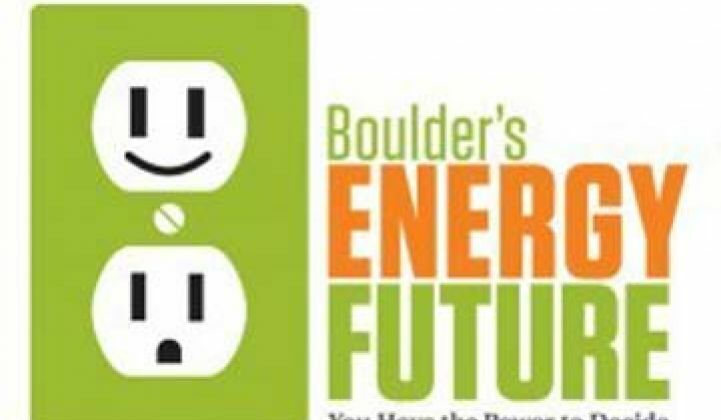 The city of Boulder, Colo. narrowly voted last Tuesday to establish a light and power municipal utility that will displace the current investor-owned utility, Xcel Energy. The vote will get the ball rolling on the path to municipalization, but Xcel is far from out the door. There are many issues to be resolved. Along with the measure that authorizes the new utility, Question 2C, there was a separate measure, Question 2B, which funds the financial analysis that will assess the feasibility of the new utility. Working out the financial and technical details -- and FERC approval -- is expected to take at least two and perhaps even up to five years. Although there is still a lot of work to be done before a municipal utility could deliver power in Boulder, the decision by voters has raised many questions about SmartGridCity and the ability of Xcel Energy to provide renewable energy to a city that has an active cleantech industry. A Bloomberg news report called the vote a failure for smart grid, but it missed the real story entirely. Supporters of the ballot measure emphasize that the vote is more about delivering renewables and taking back local control, rather than being a referendum on smart grid technologies. In fact, some smart grid projects like distribution upgrades will help support the high levels of distributed generation that many residents want. “Boulder citizens sent a clear message that they want more renewable energy and they're tired of waiting for it, so they took matters into their own hands,” said Neal Lurie, executive director for the Colorado Solar Energy Industries Association, which supported the initiatives. “Xcel did a lot of great things, but they’ve been committing themselves heavily to coal,” said Ken Regelson, steering committee member of the community group Citizens for Boulder’s Clean Energy Future, which campaigned for the measure. Not only is coal a relatively dirty form of fossil fuel, compared to cleaner natural gas, but natural gas-fired power plants also play better with intermittent wind and solar. He said the city would like at least 40 percent renewables, and his citizens' group would like to see 50 percent renewables, which according to some initial modeling they have found to be possible in the city. However, Xcel’s modeling stopped at 30 percent -- because that is the renewable portfolio standard that has been set in Colorado (which Xcel is on track to meet). In 2010, 11 percent of the city’s power comes from renewable power, and about half of that is hydro. The city’s plan also calls for relying on the wholesale market in the first three years and acquiring 84 megawatts of natural gas generation over the next seven years, along with more than 40 megawatts of rooftop solar or acquiring 55 megawatts of wind -- or some mix of those three. “The rapidly dropping price of wind and solar, combined with natural gas generation rather than coal, lead to solid economics, high reliability, lots of renewables, reduced emissions, and local control,” said Sam Weaver, co-founder of Cool Energy, Inc., a power conversion equipment company located in Boulder, CO, and one of the leads on the modeling project to look at the feasibility of a municipal utility. Although the focus has been around renewables, citizens that actively supported the measure were unhappy with Xcel’s SmartGridCity, which saw costs balloon. “SmartGridCity is a horrible miss,” said Regelson. How much the project is worth and its value to the city will be one issue that the city will have to hammer out with Xcel. Currently, Xcel Energy will continue with the project and “it will be some time before we have answers on which direction Xcel Energy will take the project,” according to Michelle Aguayo, a representative for Xcel. 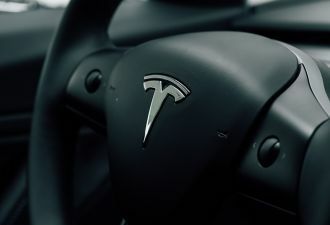 A dynamic pricing pilot will begin soon. The costs of SmartGridCity are not considered assets but are grouped into other programs, like Solar*Rewards and energy efficiency programs. Just as Xcel had to first sell the value of these projects to the state's Public Utility Commission, now the utility has to make the case again for what these programs are worth to the city. The larger fight will likely be over stranded generation assets, according to Regelson. Currently, the city is estimating the cost of buying the distribution system will be about $120 million, although Xcel has issued statements saying the city is underestimating the cost of municipalization. The city feels there are little to no stranded generation assets, but surely Xcel will argue otherwise. “Boulder has a huge number of solar installations, so it will be interesting to see what happens to the RECs [renewable energy credits] from these existing solar systems,” said Lurie. While Regelson questioned the cost benefit of SmartGridCity, he said that some of the investments, such as improving reliability in the distribution system, have been valuable. 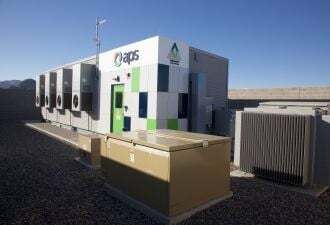 Many utilities are investing in distribution automation to support increased levels of renewables and electric vehicles, but Regelson said initial modeling has found that “the vast majority of the distribution system is just fine for renewables” in the high concentrations that the city would like to see. Renewables, however, are not a given, even if the muni gets up and running. There is a provision in the measure that the muni’s rates must be the same as or lower than Xcel's. Regelson said they can do that and move away from coal and to natural gas while increasing renewables, but more detailed studies will be needed. Currently, Xcel also said it is planning more gas-fired generation, but the city of Boulder feels the utility is not moving away from coal fast enough. If the municipal utility does move forward, Regelson said their studies have found that Boulder could get off coal within the first year of control, all without raising rates.